Daikin is one of the leading air conditioner brands in the world as the company has continued to produce some of the most effective air conditioners the world has ever seen. Daikin air conditioners are designed to keep homes, schools, warehouses, halls, and offices cool and comfortable. Daikin produces various types of air conditioning units; the brand offers designs that are both aesthetic and effective in improving the quality of air in your interior. Daikin is also popular for using energy efficient technologies in the design of its products, which provide energy solutions that can make your investment in Daikin air conditioners more worthwhile. Daikin air conditioners offer a variety of product ranges that are suitable for residential and commercial sites. The products are perfectly designed, stylish, durable and energy efficient. Depending on your needs, Air Conditioning Advisory Centre can advise you on the best Daikin air conditioner that can fit into the limited space of your home. There are many reasons to opt for Daikin air conditioners. Buying a Daikin air conditioning system is a wise investment for your home because of the superior quality. It delivers a more comfortable atmosphere and is energy efficient, meaning you can enjoy complete comfort and still save costs. 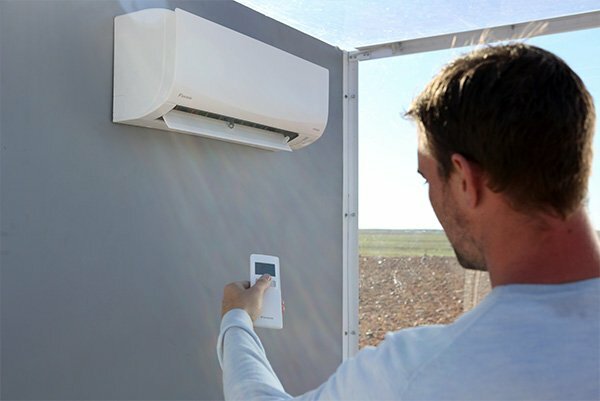 When buying Daikin air conditioners in Brisbane, you have the option of choosing from different types of air conditioners, including concealed ceiling system, floor standing system, wall mounted system, cassette system, and ceiling suspended system. However, no matter how good, durable, efficient and powerful the air conditioner you buy, the installation and maintenance processes will go a long way in determining whether you will get good value-for-money or not. Therefore, the need for hiring the services of a reliable and professional air conditioning company can never be over-emphasised. At Air Conditioning Advisory Centre, our understanding of what it takes to provide the best air conditioning services goes beyond merely installing; we acknowledge the essence of designing an air conditioning system that you can easily maintain for many years. Our dynamic services are bound to propel you to make us your one-stop air conditioning service providers in Brisbane.